I Never Promised You a Rose Garden, Act 1 is a well-crafted, nine-song album by local emcee T-Squared. The name is based off of a song by Lynn Anderson, and just like the country singer, T-Squared is hell-bent on keeping his individuality and is unafraid to share his life and struggles in his music. T-Squared possesses a broad knowledge of hip-hop and its inner workings, and I never Promised You a Rose Garden, Act 1 is a strong example of what he can do as a musician. Lyrically, T-Squared is quite well-rounded and talented. Throughout the album, he executes many different types of flows and meter. On “Mi$adventures,” his raps sound like ScHoolboy Q and even Migos, but the themes on the song are more introspective. 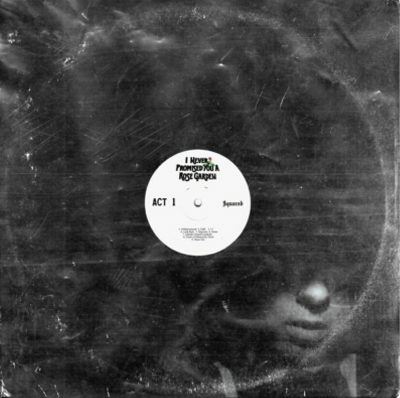 In the hook of the track, he says, “Lately I’ve been thinking how it would be to die, but I’ll never be alive till I realize that my purpose ain’t about me.” T-Squared is perfectly comfortable rapping over any type of beat and even successfully goes a cappella for some time on “L7,” flexing his versatility and skill. The production of the album is unique and uplifting. The track “Mi$adventure$” is bouncy and fun, using an original-feeling pipe flute sample. Other songs like “Rear View” are a little more dark and melodic but are not boring by any means, especially when combined with T-Squared’s vocals. The song “Down” samples a Yuna work titled “Someone Out of Town,” and it is beautiful. Rapper Xxxtentacion also uses the sample in his song “Let’s Pretend We’re Numb,” and it is cool to hear it another way. At first, the production of “Down” sounded like a rip from Xxxtentacion, but after closer examination, it is another beat entirely. This solidifies T-Squared’s knowledge of rap music, as well as an ability to create uniquely inspired tracks.